This is such a great forum. I'm still not decided, but have a lot more data. Thanks so much for info on madstad and Puig. Back to reality. I'm still going to swing by Madstad, see what the guys there say, look at their facility. But now maybe the Puig is pulling ahead. It has several inches up and a few over on stock, and doesn't look lousy. That being said, the UGLIEST aspect on the Versys is the backside of the fairing mount bracket, which you have to stare at all day, wondering why they didn't do a plastic dzus snap on vanity cover for it in matte black. I've been using the Puig for about a year on my '17 model and have no complaints. 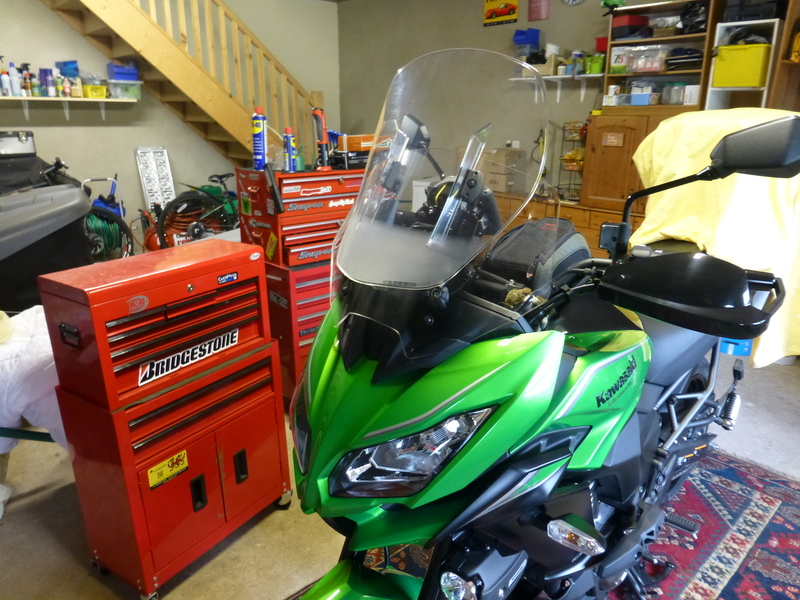 Realistically, I have never held this sport/touring windshield to Gold Wing standards, so it did not disappoint me, and it's much better than the stock unit. Maybe Madstad is better...I've never had one. I think you are right, and I've been over thinking it. Puig it is, through cycle gear. I'll still toot out to Madstad to see their facility, they are very nice over the phone. Years ago, after I bought my first Deltran battery tender I stopped by their facility in Deland, Fl., saw their shop, said I wanted to get another small one for a new bike, the engineer doing the tour gave me a "second" or "return" unit, which I'm still using. My vote goes to the Givi Airflow. Had one since I bought thisw bike and seen no reason to change it. Not so barn door as my Goldwing screen but much better than most screens I've had on other bikes. Form follows function, If it works, it's beautiful. Tyke, That GIVI Airflow actually resembles a Madstad setup at 1st glance, one of their original universal shields maybe... I can see why people would like that one too. FWIW, Madstad also has a 30 day return policy,,, and 4 different heights to choose from.